By default the size of gridX dan gridY Null Layout (JPanel) is 10. With that size, I am difficult to locate/size the swing control. So, I thought Netbeans still hard, not like Ms. Visual Basic, Delphi or the other. But, when I can set the size of gridX and gridY, I think... it's cool. rename a newfile to form.properties. In dialog, click tab View, then remove check on Hide extensions for known file types. If file name is form.properties.txt, then delete .txt extension , to be form.properties. It's mean, we set gridX=5, and gridY=5, or we can set to any size. 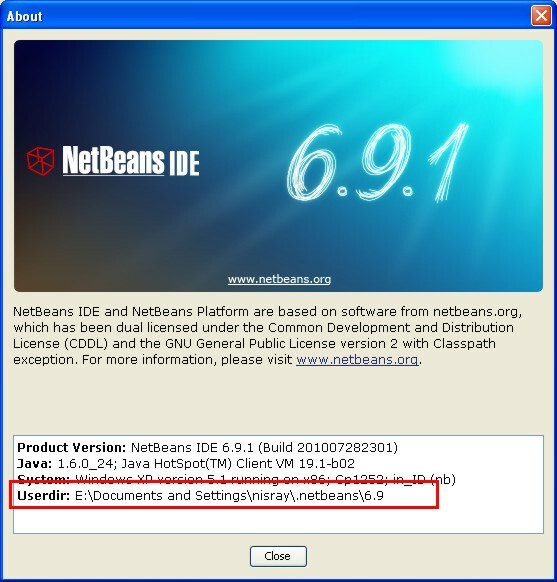 Close Netbeans, and re-open (restart). Now, please test with JPanel container. Right click that JPanel, choose Set Layout = Null Layout. Then add JButton control, set the size and location. Next blog, we will write about jLabel.